Descriptive analytics helps companies make use of the large volumes of data they collect, by breaking it down to give important areas more focus. It has become a vital part of business operations because it helps company stakeholders understand their current situation, and how it compares to the past. Without this branch of analytics, it would be impossible to anticipate future trends and the ideal course of action, as it is part of a larger analytics ecosystem along with planning analytics, diagnostic analytics, predictive analytics and prescriptive analytics. How is descriptive analytics used? Descriptive analytics was used primarily to extract and present information in a visual and intuitive format. Businesses set KPIs and relevant metrics to be measured, before identifying key data to be acquired. Then, the analytics systems pulls data from different sources, which includes shadow repositories, databases and record systems. After data is extracted, it must be cleansed and transformed for analysis. Preparing data for analysis is the most labour intensive process for data analysts to complete. Once data is ready for analysis, descriptive analytics will help find connections and patterns in key metric areas. Techniques used in this process include regression analysis, suppression and summary statistics. Key metrics are calculated and compared against business goals. The newly discovered trends are then compared to previous trends. The data is then packaged into graphs, charts and other intuitive formats for the sake of easy reading. What was the benefit to businesses? Companies benefit from descriptive analytics because it streamlines the data analysing process. Most corporations collect large volumes of data from structured data (forms) and media-rich unstructured data. By investing in analytics, companies can integrate both data structures for a comprehensive overview of operations. 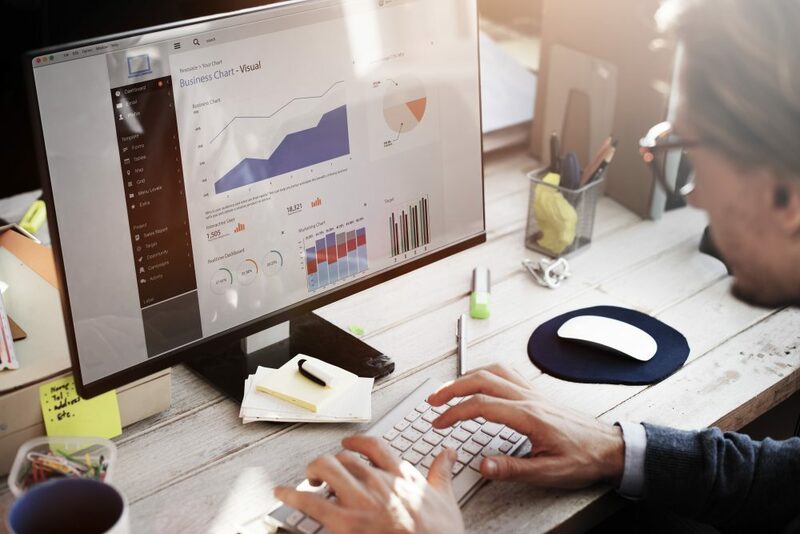 With data analytics, companies can improve their productivity because analytics paves the way for new innovations that will lead to new operational methods that in turn improve productivity. Descriptive analytics reveals unique insights, trends and patterns in data not found through other analytical methods by leveraging several sophisticated methods for analysis, like regression, summary statistics, and clustering to reveal these new patterns. Thereby, opening new opportunities for growth and cutting operating costs. Data analytics gives context to vital information. For example, $1 million in sales is an impressive accomplishment, but if there is no further context to the sales figure, then it is not very useful. Data analytics provides the context managers, executives and stakeholders need to make the decisions. Companies collect a lot of data, and analytics is needed to sift through the relevant information. For example, Google has more than 108 million users, Facebook has 1.1 billion monthly visits, and Amazon has uniquely 89 million visitors each month. Companies are collecting a lot of data, but it is only useful if there is a suitable analytics system to sift through the information. What is the role of analytics in the analytics ecosystem? Descriptive analytics is part of a larger analytics ecosystem. Planning analytics facilitates the design process for businesses. Analytics that captures, analyses and processes data when executives are laying out the corporate agenda for the future. Descriptive analytics is the next part of the data analytics ecosystem. It attempts to answer the question “What is happening?” by trying to present the current state of the company through data collection and analysis. Diagnostic analytics looks to build on the information presented, by trying to answer ‘Why did it happen?’ Diagnostic analytics looks to identify anomalies, the cause behind the anomalies and causal relationships. Diagnostic analytics uses machine learning, as machines are better suited for finding anomalies and their causes. Predictive analytics is the next step in diagnostic analytics and predicts future outcomes based on current data. Prescriptive analytics will take the findings from predictive analytics and recommend actions to take. With prescriptive analytics, humans have a useful tool in decision making. Alternatively, analytics can send direct commands to a system. Descriptive analytics has changed the way companies operate. Its ability to take large volumes of data and break it down into discernable trends opens a lot of options. Furthermore, analytics can present complex information in a visual, intuitive format. By investing in analytics, companies get a better understanding of how they operate and stakeholders get context for important information, due to its sophisticated analysis techniques. Want more information on how data analytics benefits businesses? Find more information at our Selerity blog.